La Panxa del Bisbe restaurant in Gràcia, Barcelona is a little treasure, serving Mediterranean cuisine with successful creative twists. When La Panxa was at its previous location, a block away on Carrer Rabassa, I used to go fairly regularly. It was tiny, cramped and always full, but the food was worth the waiting and elbow-jostling it took to get to it. My circumstances changed and I stopped going to Gràcia as regularly. And when La Panxa moved to bigger premises on Torrent de les Flors a couple of years ago, I always meant to visit but didn’t, until last month. The sort-of-new Panxa, with its long brick walls and even a patio, is completely different. Much more space, much more light, much less fighting for somewhere to sit. That’s the first bit of good news. The second is that the food’s as good as ever. Expect smallish portions, usually but not always based on Mediterranean cuisine and usually with a creative twist. Normally, I’m allergic to creative twists. I don’t want the classics mucked about with by cooks with delusions of grandeur and one too many Ferran Adrià books on their shelf. In this case, however, chef Xavi Codina is good enough to twist to his heart’s content without spoiling anything. Quite the contrary. Unlike most reviews here, I didn’t take any notes. Why? Because I was enjoying lunch too much, swapping stories with Sally Davies (Time Out, Lonely Planet, The Guardian, The Telegraph, etc.) who has eaten in even more restaurants in Barcelona than I have. So, here’s the short version: Expect to pay €30-€35 per person, expect to share the dishes (each mainly in the €9-€15 range), and expect to enjoy them. Next time I go I’ll write it up properly. Until then, here are some photos. Bread with chocolate, olive oil and salt (€4.60). La Panxa del Bisbe: Torrent de les Flors 158, 08024 (Gràcia), Barcelona; Tel. (+34) 932 13 70 49; Metro Lesseps (L3) Joanic (L4); Closed Sun. & Mon. 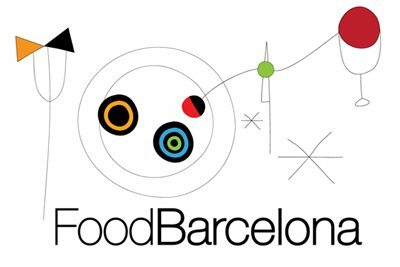 Discover other Gràcia restaurants in the neighbourhood guide or look up La Panxa del Bisbe on the FoodBarcelona map.